So just who is Banksy? Banksy is believed to be Robin Gunningham, who was born on 28 July 1973 in Bristol to Peter Gunningham and Pamela Ann Dawkin-Jones. It is also believed that he attended Bristol Cathedral school. However, whilst there has been newspaper investigations into this exact identity, there has never been any clear proof of his real identity. 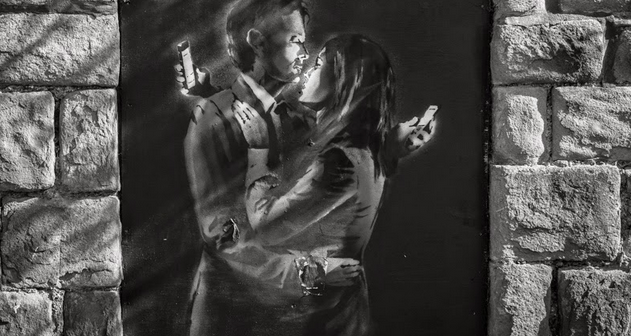 This myth around Banksy is part of the allure of his work. 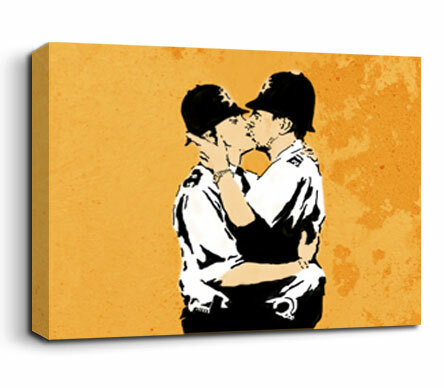 Banksy is a freehand grafitti spray artist turned stencil artist who is widely seen as an anti-capitalist commentator, he has provoked many debates through his art which are usually satirical antihesis of authority and establishment – two policemen kissing for example. His original take on modern British life has drawn both criticism and admiration in equal measure. 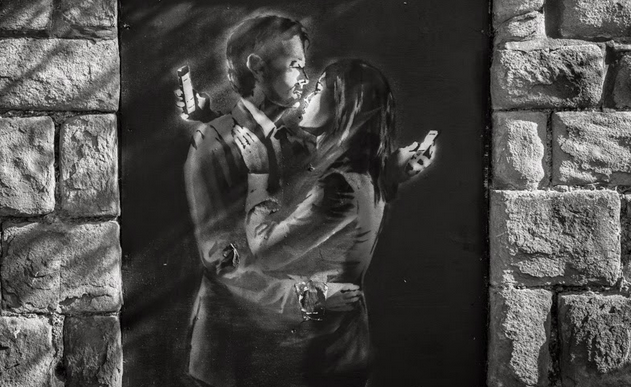 In recent times he has been a little quiet but has resurfaced again in his home town of Bristol with his “Mobile Lovers” that was found on the door of a youth club in the city. 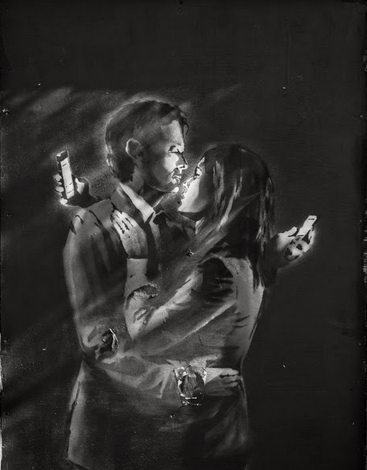 The image depicts a man and a woman in an embrace whilst staring over each other’s left shoulder at their own mobile phone. Sadly the image that was stenciled onto a door of the Broad Plain Boys’ Club was removed and the Youth club plan to autcion the painting to raise money for the club. There has been a large outcry against this action as it goes against the spirit of Banksy Street Art. Banksy’s anonymity has been crucial to his appeal that presents an intriguing contrast in a culture dominated by the cult of celebrity. There is always a clever message to be found his art that often makes you stop in your tracks and pause to contemplate what Banksy is commenting on though his work. Seen as a man of the people poking fun at the establishment Banksy has a very popular following that has led to his art becoming a phenomenon and fetching large fees at auctions. 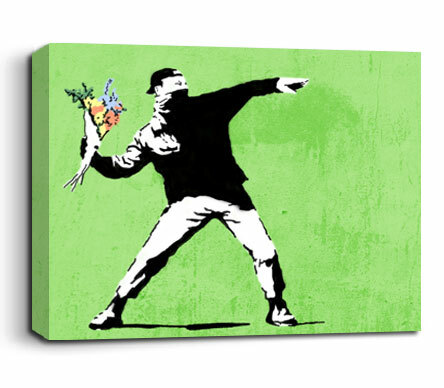 Banksy ever the anti-establishment figure, once wrote: “When you go to an art gallery you are simply a tourist looking at the trophy cabinet of a few millionaires.” So by taking his art to the streets and giving it away for nothing he is giving art back to the people.